Celebrating World Create day with tutorials and hacks for engineers and makers. This event was created on 04/05/2017 and last updated 2 years ago. For this year&apos;s world create day, we are putting up an exhibition and demonstration of projects and doing a workshop on hacking toys for engineering. We will be showcasing everything a budding maker needs to get started and we will be doing it in hack-a-day style. 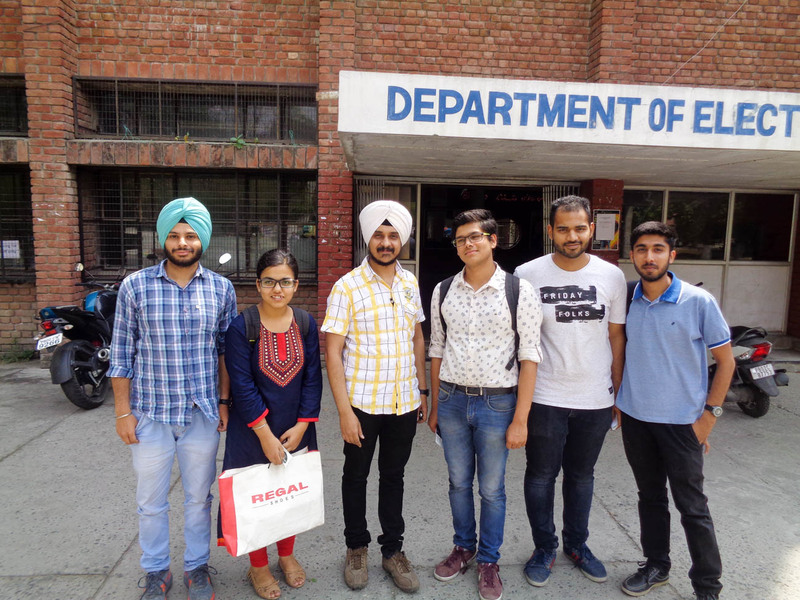 The venue will be setup at the GNDU Main Campus, Amritsar, however depending upon response, we are still working to setup the exact details. Follow this event page to be updated. We had and excellent event today. There was a crowd of very enthusiastic budding engineers. They were eager to learn and listen to what the presenters had to say. We had setup some hacks as well as other hardware for beginners and advanced users. The objective was exposure and how to make students comfortable. We sat down and asked questions about hardware hacking and the technology available out there. In addition to the demonstration of the existing projects and hacks made by various contributors on the internet, we went into the details of how to start a projects. 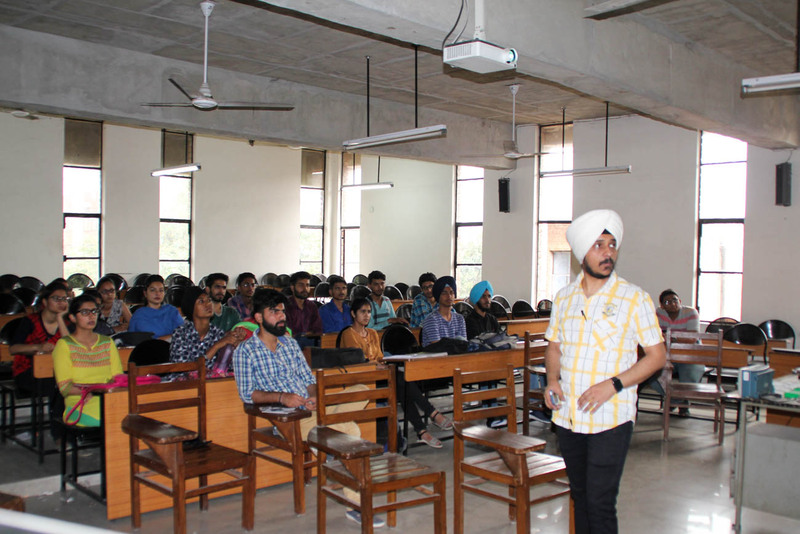 After discussing hacks, prototying and 3D printing, we moved to a presentation session with [Inderpreet Singh]. A detailed talk on hackaday.io and the hackaday prize was given with emphasis on the importance of collaboration. We discussed ideas for hacks and projects that can make a difference in the world. 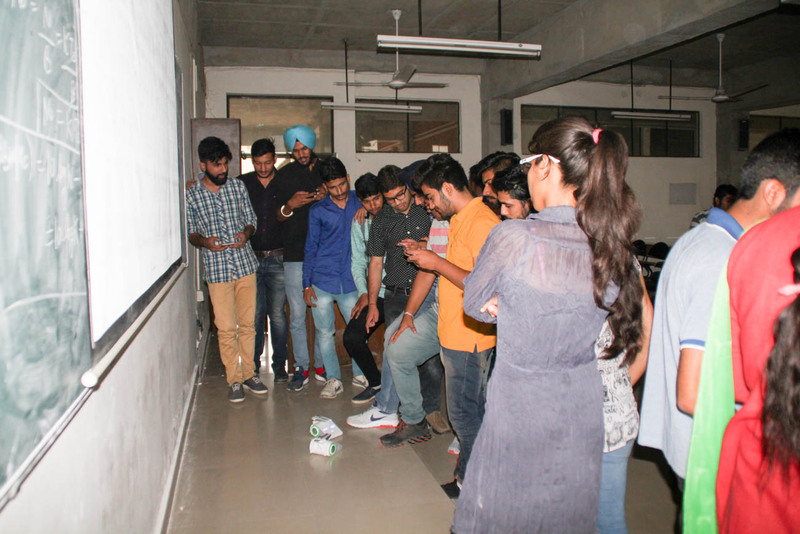 A simple idea of an IoT water bottle was followed by a discussion on hydroponics and irrigation automation and farming. We moved onto a discussion on sensors and the simple ways of prototying. The session concluded with a demonstration of an Arduino driving 120RGB NeoPixels which made a very colorful session. 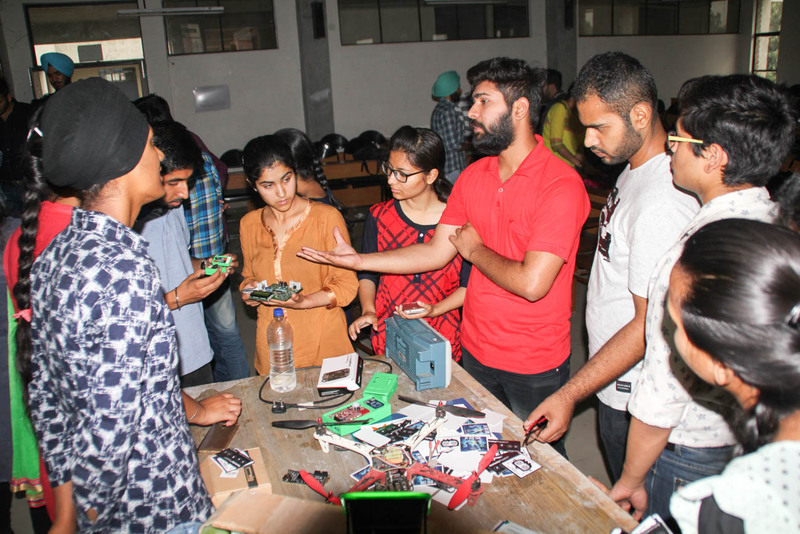 The stickers provided by Hackaday were distributed to the students while discussing some of the projects there including quadcopters, e-paper displays and digital oscilloscopes. 3D enclosures were very welcomed and a topic of detailed discussion. Robot fights ensued soon after and Makeblock Codeybots quickly became the center of attraction. It was good to see students wanting to make more of these themselves and the games ended with a lot of happy participants. We concluded the day with the volunteers cleaning up since there was a massive storm with strong winds and power being cut to the building. Everyone had a great time and we hope to meet up next year with more participants and hacks. Thanks @Shubham Dey and @NAVJEET SAINI for keeping things sane. Many thanks to @Sophi Kravitz , @Anool Mahidharia , @Shulie Tornel and the editors for the support. We have the venue set and the posters out. Thanks to @Shubham Dey for the poster layout and I hope to see lots of guys on Saturday. We are setting up things here for the event and finalising some basics. The team is in place and already has people asking us. 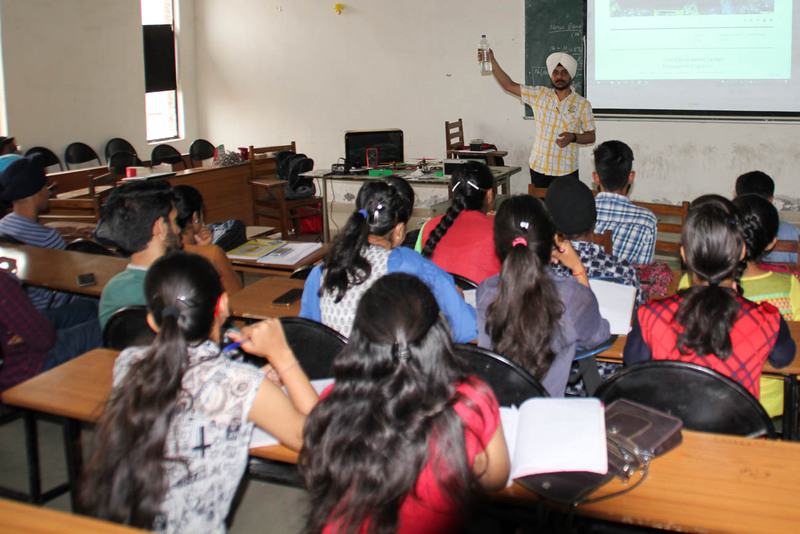 You are about to report the project "World Create Day - Amritsar", please tell us the reason.